1 When requesting an accommodation are you required to meet with the employers physician? 2 How do you determine how much time to give an employee leave under ADA? 3 Under ADA are you able to ask for a second opinion? 4 When requesting an accommodation, should the employee go to their supervisor or to HR? 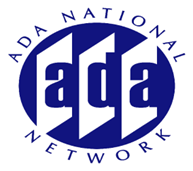 5 What is considered a disability under the ADA? 6 Title II and Title III define service animal. Title I does not. Does Title I allow for emotional support animals as opposed to service animals? 7 Is the EEOC working on updating any of its ADA guidance and technical assistance documents/materials? 8 Can you quickly explain the difference between FMLA and ADA? for instance can employee use ADA for their child's disability accommodation? 9 Please address the issue of what documentation an employer may require when an employee is returning after being out on leave. May an employer require a fitness for duty examination or is documentation from the employee's doctor enough? 10 Relating to service or assistance animals, how are these animals defined in the regulations for Title I? And can an employer place restrictions on specific breeds, for examples, when considering a reasonable accommodation request from an employee (or potential employee) who uses a service or assistance animal? 11 Are unpaid workers, such as volunteers or student interns, covered by Title I of the ADA?